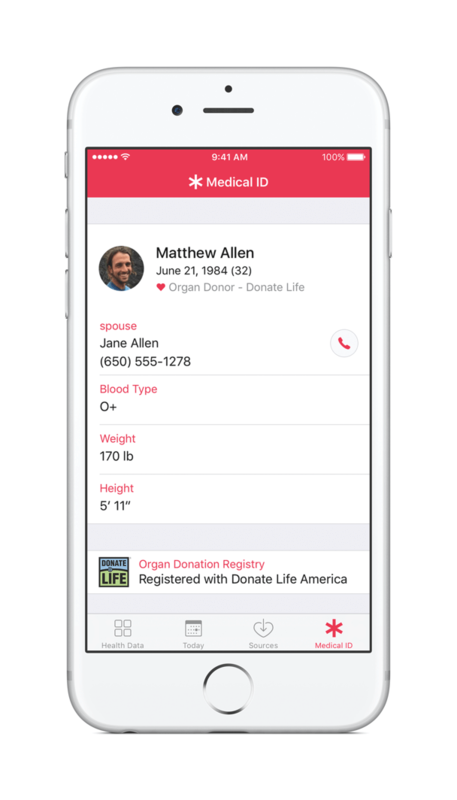 Cupertino, CA and Richmond, VA — July 5, 2016 — Apple® and Donate Life America announced today that, for the first time ever, iPhone® users will be able to sign up to be an organ, eye and tissue donor right from the Health app with the release of iOS 10. Through a simple sign up process, iPhone users can learn more and take action with just a few taps. All registrations submitted from iPhone are sent directly to the National Donate Life Registry managed by Donate Life America. The ability to quickly and easily become a nationally-registered donor enables people to carry their decision with them wherever they go.